Effectively capturing and storing carbon in underground reservoirs is one way to meet the climate change targets set by international partners and countries worldwide. This method is known as carbon capture and storage or CCS. However, it is still unclear as to whether the current technologies have the capability to safely and securely correlate buoyant CO2 for a minimum of 100 decades, which is probably the minimum period of time needed in most agreements. Various pilot projects exist across the world for the CCS process, through which CO2 emissions are accumulated and injected into underground reservoirs. However, research is being conducted to find out whether demonstrating and upscaling the process will make it feasible in due course. “Nature may provide some answers,” says Utah State University geologist Jim Evans, who along with USU alum Elizabeth Petrie MS’03, PhD’14, Moncrief Chair of Petroleum Geology at Western State Colorado University, took part in an international research project, headed by England’s Cambridge University and Shell Global Solutions, to calculate geological formations that have the ability to efficiently contain CO2 emissions. The research conducted by the team was published in an edition of Nature Communications. The research participated by the USU researchers was funded by Royal Dutch Shell and supported by the U.S. Department of Energy Basic Energy Sciences Grant. Storing carbon dioxide underground is a challenge because CO2 is less dense than water, exerts upward pressure, corrodes surrounding rocks and escapes. Yet, natural carbon dioxide sequestration occurs and, with the study, we set out to discover the characteristics of areas where secure storage is possible. For a number of years, the focus of the team's research was on an area in southeastern Utah, where Evans reported the existence of a natural laboratory that helped them to study the long-term communication between rocks, water and CO2. The site based near a fault had both natural and human-caused CO2 emissions that can be studied from a minute to 400,000-year timescales. 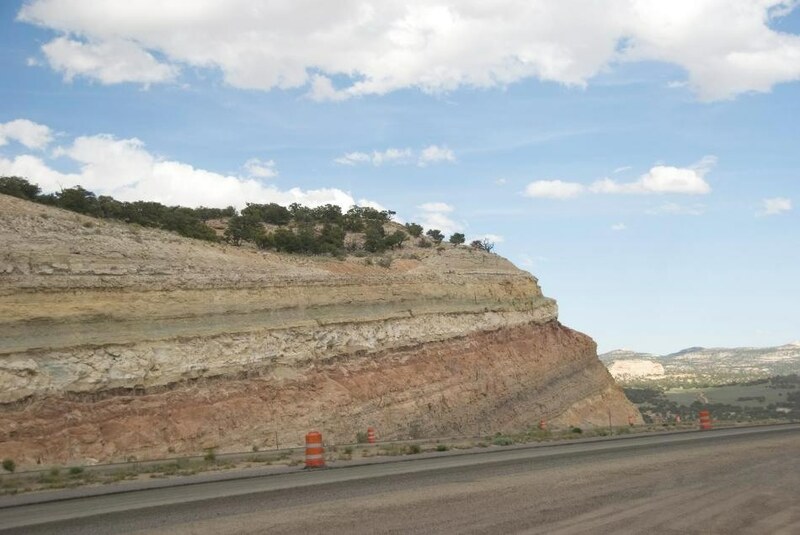 The current paper analyzed the outcome of a scientific drill hole in the area’s Carmel Formation, a sandstone caprock located approximately five miles south of Green River, Utah. The Carmel caprock features sandstone and fine siltstones overlying an aquifer naturally charged with carbon dioxide. Our collaborators from Tennessee’s Oak Ridge National Laboratory and Germany’s Jülich Center for Neutron Science analyzed reservoir fluids from the drill hole, along with continuous drill core, using neutron scattering to determine the variations in the chemistry of the rocks. Petrie and Evans assisted with the design, coordination and drilling process. Besides them, USU students also took part in the coring and water sampling process. The paper’s lead author Niko Kampman from Shell Global Solutions used a device that was lowered into the drilling hole to trap the dissolved CO2 and water; the CO2 gas was kept under pressure before transferring it for testing in laboratories in Europe. Subsequently, the researchers used computer modeling of the chemistry determined in water, rock, and gas to establish the effectiveness of the naturally modified caprock in capturing CO2. The researchers observed that it produced a barrier-forming zone in which minerals dissolve, react with CO2, precipitate and block pores. These geochemical reactions occur at the nanopore level and create a very tight seal and, at the study site, retained carbon dioxide much longer than expected. Our findings reveal important insights about the feasibility of storing carbon. Our work suggests that in natural systems, the CO2 may move very slowly in rocks and that effective seals are possible in some CCS scenarios.